Considering Kalimaya is a stone’s throw from Seminyak Square, we couldn’t believe the sheer amount of space we had to ourselves – and it was so quiet too. We loved the huge pool, and all the surprising extras such as jacuzzi and infra-red sauna. There were surprises aplenty, all positive…. this two-bedroom villa is pretty near faultless. Thank you for making our stay such a relaxing and peaceful one. We absolutely loved everything about Villa Kalimaya II. We hope to return in near future. Cheers to you all. Thank you for providing such a perfect setting for us to enjoy a well deserved holiday. The staff are more than helpful and nothing is a problem for them. The villa is perfectly located, close to shops, restaurants and the beach. See you all next year. Thank you to all staff here at Villa Kalimaya II. We had a very nice stay here at the villa. Staff has always been very helpful, always smiling and location could not actually be better. Thanks again. We had a wonderful stay. Wish we didn't have to leave so soon. We enjoyed everything about the Villla. Hope to be back soon. Thanks. Thank you so much. We've had a wonderful stay and a great time at Villa Kalimaya. The staff were friendly and attentive and the made us feel at home and cared for. We will recommend you highly to everyone back home and hope to visit again soon. What a wonderful setup. Great location and layout. Attentive staff. There when you need them but never getting in the way. All round great experienced. Thanks so much. We enjoyed this peaceful oasis "Sempurna" (Balinese for perfect). Thank you to all the staff who made our stay so easy. Thank you to all the staff who made our stay most enjoyable. The villa is fantastic and in great spot - so close to all the restaurants and bars of Seminyak, yet feels so peaceful and quiet. We will be back. We loved our stay at Villa Kalimaya II. What a great location, close to everything. The villa is spacious, comfortable and like an oasis amidst the hustle and bustle. The staff were all friendly, caring and could not do enough for us. We would definitely recommend staying here and look forward to returning in the future. To the wonderful staff at Villa Kalimaya, thank you for making our stay relaxed, stress free and enjoyable. The accommodation was great and met all our needs. The staff were attentive and friendly. We made memories that we last forever. Thank you to Lina, Alit and all the wonderful staff at Kalimaya II. We had such a relaxing stay and will definitely be back. The staff are exceptional, friendly and so caring. We have loved chatting to them and eating the delicious meals they have cooked for us. Thank you and see you again soon. Thank you so much for the peaceful, relaxing stay in your lovely villa. We so enjoyed the swim in the pool, lazy afternoons relaxing on the daybed and the sunny morning breakfast. It was so special. Thank you for your beautiful hospitality. We have had a wonderful, peaceful and relaxing stay. We wish you all the best and look forward seeing you again on our next trip, hopefully soon. Sam and I couldn't have been happier with the staff and total experience at Kalimaya II Villa. We would definitely stay again and tell our friends. Thank you Alit and all the staff for being so helpful and lovely. Our stay was blissful, we had a wonderful time - thanks largely to the convenient location and flawless service.The staff were extremely friendly, the food was very fresh and tasty and gave us a great taste of the local cuisine. All in all we had a wonderful stay with many great memories and would recommend this villa to our friends. We spent a wonderful time at Villa Kalimaya. Such caring staff, exceptional service and we cant wait to come back here for our next holiday. Thank you for all this magical experience. We had a lovely time at Villa Kalimaya II. The experience was relaxing and environment serene. The location was perfect. Thanks to the staff for their help, going the extra mile. Hopefully we will be back. We has such a beautiful family holiday at Villa Kalimaya II. The staff and service has been exceptional and we cant wait to come back for another holiday. Thank you for making our stay so easy and special. Happy New Year. Thank you for the service. Much appreciated. What a wonderful stay we have had at Villa Kalimaya. Superb hospitality and a supreme villa setting. We have loved the pool and the open air kitchen/bar area. It is all wonderfully restorative after the bustle of Seminyak. All the people of Bali we have come with contact with have been delightful and we will be back. Thank you Lina and the great team!! Our stay here was absolutely amazing! The villa was awesome - I loved the pool and day bed! The food was delicious and fresh. The fruits was really good! Thank you so much for providing us with great security, amazing food and awesome service! A special thanks to Lina for organizing and planning everything that needs to be organized and planned. Another special thanks to Alit and his brother for driving us around so we don't have to walk for hours. I give this villa 5 star, our stay has been fantastic! We are so sad to say goodbye to this wonderful villa! Hope to see you again sometime next year or the year after. We'll definitely come back! Thanks for everything. Big thanks to all of the lovely staff at Villa Kalimaya. Thank you for always going above and beyond to ensure that we have a perfect stay. See you next time. To dear Fysh and the Kalimaya team, what a fabulous and rejuvenating time we had at Kalimaya. The villa was a sanctuary in the middle of Seminyak, so close to everything and we love the layout and the comfortable and spaciousness of our villa. The staff were all so very attentive throughout and help make our stay so very memorable. Thanks to all. Had a fantastic stay at Villa Kalimaya. All rested and relaxed. The staff has been professional and fantastic. We hope to be back. Thank you for the nice days in this perfect villa. The team is very kind and helpful. Thank you for the wonderful stay. The villa is beautiful and the service was brilliant .We hope to return in the future. We will recommend to family and friends .Our children have had the best time and your team care for them has been fantastic. Thank you ! Dear Fyah & all staff, Our second time at Villa Kalimaya and it didn't disappoint. 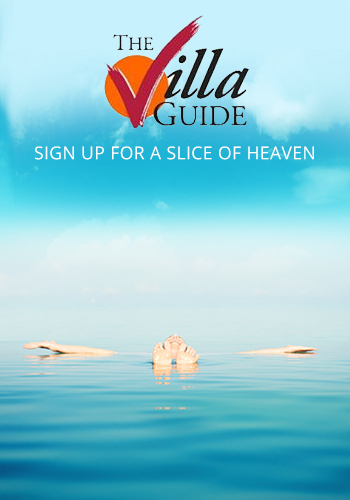 The villa is wonderful and all the staff are so friendly and always willing to please. We would recommend to all our friends. Thank you. Serenity!!! What a shame it was only 2 days but a relaxing time, will return.The location is spot on and the team highly recommended. Thank you so much for a brilliant holiday and helping my wife and daughter celebrating my wife 50th birthday. Everyone been super friendly and helpful. Thank you again. Big thanks to Fysh and the Kalimaya team for the wonderful stay in Bali. We've been unlucky with the weather this trip but very lucky with the wonderful villa to spend time in. We will definitely be back! Amazing staffs and service! Everything was cleaned in a matter of seconds. The perfect location for a family and perfect for NYE with excellent location being in the heart of Seminyak and minutes away from Mexicola. We didn't have a single unhappy moment here. Worth every cent. Thanks team. Thank you to all the staffs at Villa Kalimaya for all the service during our short stay! You have all been amazing in every aspect. Definitely set the bar high for all our future holidays around the world! Wishing you all a great year and see you when we come back to Bali! What a gorgeous & blissful time we had! Our thanks to you & your team for taking such good care of us from start to finish. Sad to leave but looking forward to coming back! To Fysh and amazing team at Kalimaya, we cannot express how much we loved our stay here. Everything was fantastic from the breakfast service, arranging outings. We are already planning our next stay. See you in 12 months. Cheers. Dear Fysh and team, thank you for a wonderful stay. Your hospitality has been exceptional and our choice to stay with Kalimaya has been vindicated. We will be sure to recommend your villa to family and friends. See you next time . Kalimaya II is a wonderful villa. We are traveling with two kids - one 4-year and one 1-year infant. The villa is fully equipped to cater their needs. The baby high chair, baby bathtub and cot really helped a ton. The ground floor living room and dining room can be closed and on the aircon when it is hot outside, so that the kids won't get the heat. Kids love the pool also the jacuzzi. We adults can play with them then go to the sauna to warm up. The location is the best, 5 min walk to beach - sand play for kids; 5 min to famous bodyworks - SPA! 2 min to Seminyak village to enjoy the meal with aircon. And if you further walk down, whole shopping and dining street is waiting you. All in all, it is a good choice for family. From the moment we arrived the staff were magnificent! We felt like royalty! Beautiful meals were prepared and all tidying up was done. Gardeners were always cleaning the grounds which was lovely to see. Any requests we had were quickly tendered too. Staff 10/10 Villa 8/10 We will be back! Great villa, fantastic location & lovely staff. Tranquil tropical paradise! Fantastic with young children because doors can be closed to keep them away from pool. Pool was shaded during our stay but that was good for children playing in there all day. Sun lounge area got plenty of sun. Short walk to Seminyak square and some great restaurants. Staff were brilliant. Good security. Would love to visit again. Fabulous location, amazing staff, great sized villa, beautifully kept. Lovely fresh food prepared whenever you require. They really can't do enough to ensure you have a great stay. I love it here! Loved the Villa. The location was amazing, 100 meters to Seminyak square and 200 meters to the beach! Staff were conspicuous yet helpful. I would definitely stay here again. Beautiful villa in a very convenient location. The amount of space you get is amazing and our family of 4 were accomodated very comfortably here. The villa manager and all the staff made us feel very welcome and made all the difference. Definitely would stay here again. This villa is ideal for the perfect Bali getaway! The house is traditional and wonderfully comfortable, in an awesome location. The pool and gardens are just beautiful! The staff were efficient, helpful and caring! We had a fabulous time! I will start with saying that often the photo's posted online of a potential villa can be better than the reality. This certainly was not the case with our villa 2 Kalimaya. Lisa & I were speechless when we walked into our villa. It was everything we had hoped for and more. 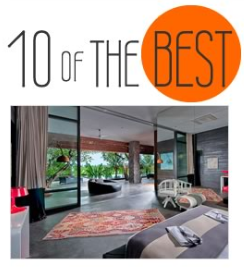 We have both been to Bali on many occasions & can honestly say the Kalimaya was the best - ever! We intend to return next year. Hopefully the building of the new mall will be completed by then & we will be able to access Seminyak Square even more quickly. We were amazed with the feeling of spaceousness,peace and quiet, even though we were in the heart of Seminyak. Thank you to the wonderful staff, as well as the wonderful villa, for an unforgetable holiday. Great location and staff. Amenities such as pool, tv and internet were very good. I would stay here again. Location - fab, fab , fab. Out the door and you are in Seminyak. Loads of restaurants - do try Ultimo and Ginger Moon. Beach also an easy walk. Staff were soooo friendly and make a wicked poached egg in the morning. Will be back! based on 52 user reviews. When we first opened the gilded Balinese doors onto Kalimaya II’s garden, we thought we’d come to the wrong place – surely it was too big to be only a two-bedroom villa? The element of surprise was maintained throughout our visit, as we discovered not one but two living rooms as well as a separate dining room and a second dining area on the upstairs terrace – an extraordinary amount of space, especially in such a hip Seminyak hotspot.